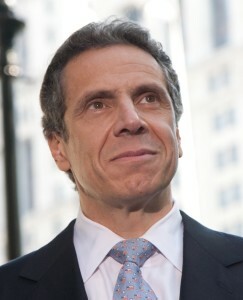 In an April 24 news release the office of New York Governor, Andrew Cuomo, attempted to hype a $1 billion subsidy to “expand deployment of solar capacity” across the state. Governor Andrew M. Cuomo today announced a nearly $1 billion commitment to NY-Sun, which will significantly expand deployment of solar capacity throughout the state and transform New York’s solar industry to a sustainable, subsidy-free sector. The NY-Sun initiative provides long-term funding certainty that will boost existing businesses and attract new investments to New York from global solar companies for greater economic growth. NY-Sun is part of the Governor’s commitment to protect the environment and lower energy costs for all New Yorkers by improving the efficiency and reliability of the electric grid. Because nothing says “sustainable and subsidy-free” like $1 billion in handouts to keep the renewable energy industry alive in New York, right? But that wasn’t all they had to offer their readers. They bulldozed ahead by trying to convince readers that a $1 billion subsidy from the state would promote “market-based” and “decentralized” energy development and the installation of some 3,000 MW of new solar generation over the next decade. One honestly has to wonder if they were able to keep a straight face in the governor’s office as they typed and sent out this release. A Daily Caller article on this planned $1 billion injection broke the numbers down a bit further by showing that the going rate for the planned solar installations amounted to an amazing $333,000 per megawatt. As they quite rightfully noted, this is a “hefty price tag for a state that sits on vast reserves of readily accessible natural gas,” which the Cuomo administration has stifled with its moratorium on fracking. 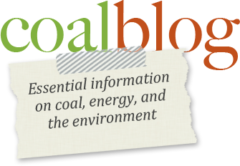 Furthermore, New York has easy access to coal which provides reliable, affordable, and increasingly clean energy across the majority of the country. By foregoing the use of coal-fueled energy, New York is paying a high price (both literally and figuratively). In March 2014, New Yorkers paid over 20 cents per kilowatthour for residential electricity, while residential rates in neighboring Pennsylvania (which gets 40% of its electricity from coal) were almost 40% lower, at 13.01 cents per kilowatthour.